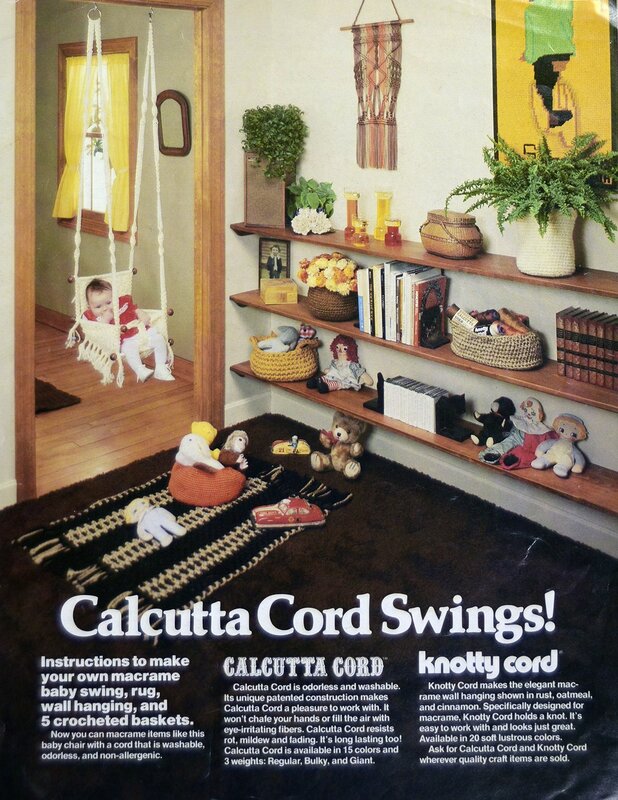 Make a nifty baby swing, rug wall hanging, and 5 crocheted baskets. 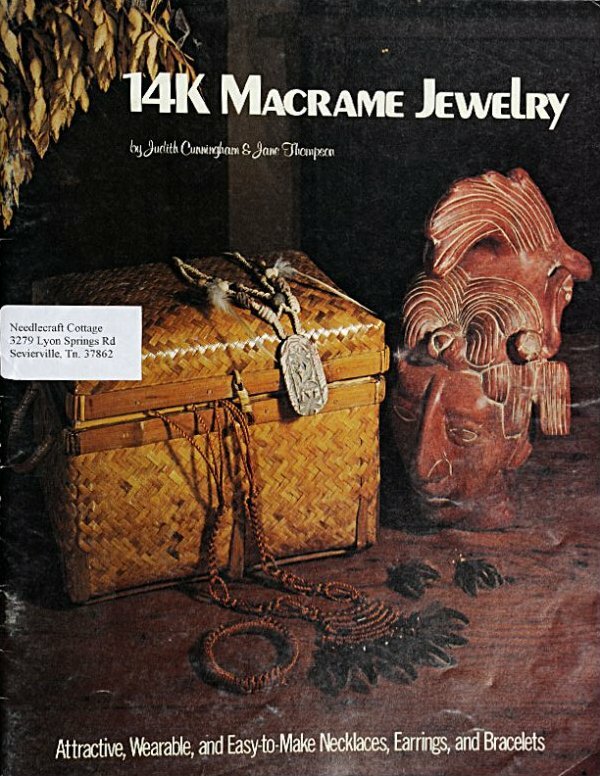 Instructions for macrame' knots plus several patterns. 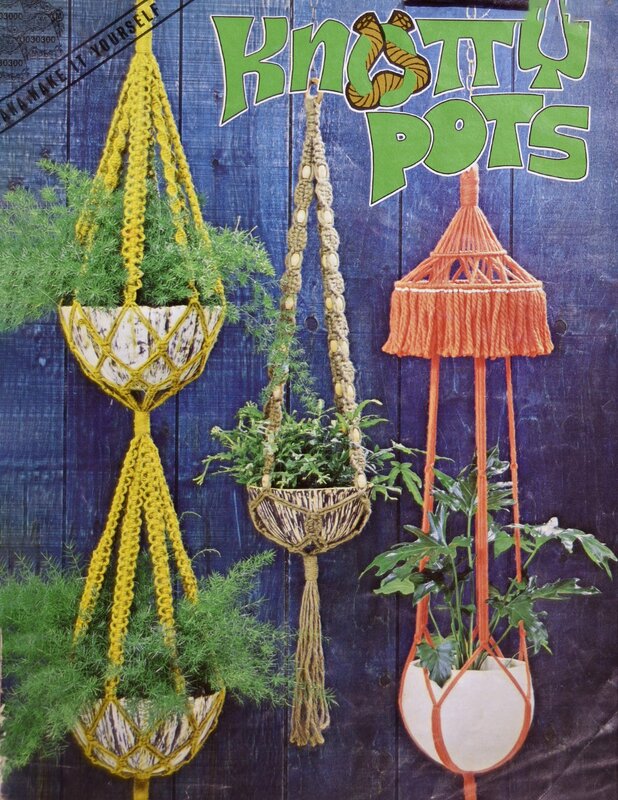 23 pages of hanging pots to make in macrame. 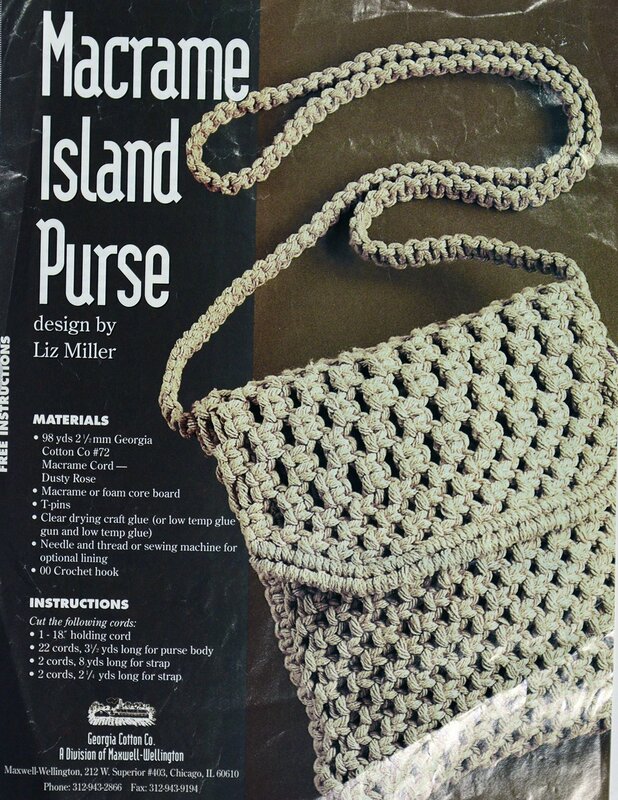 Use square knots, lark's had knot and half stitches. 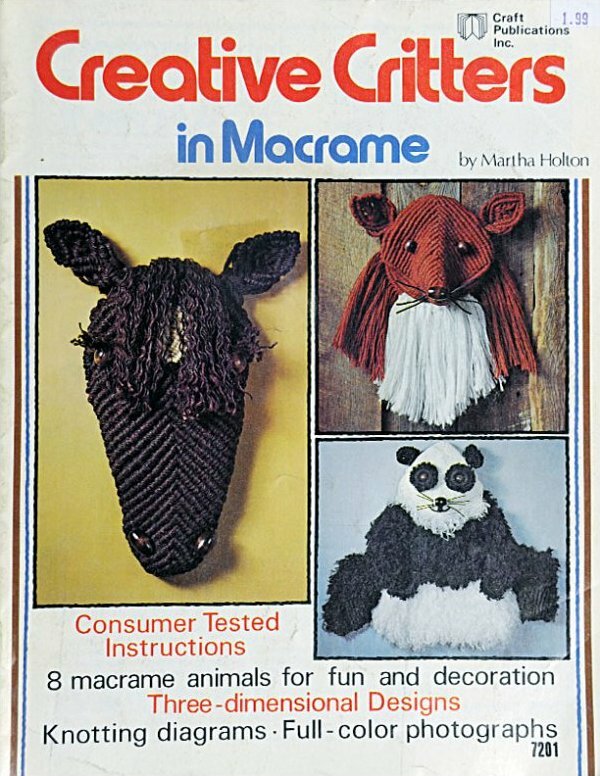 Creative Critters in Macrame'. 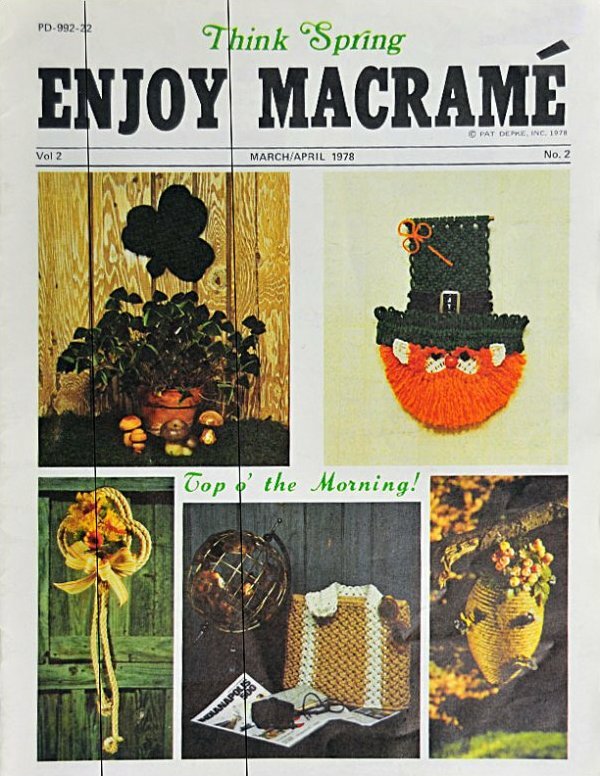 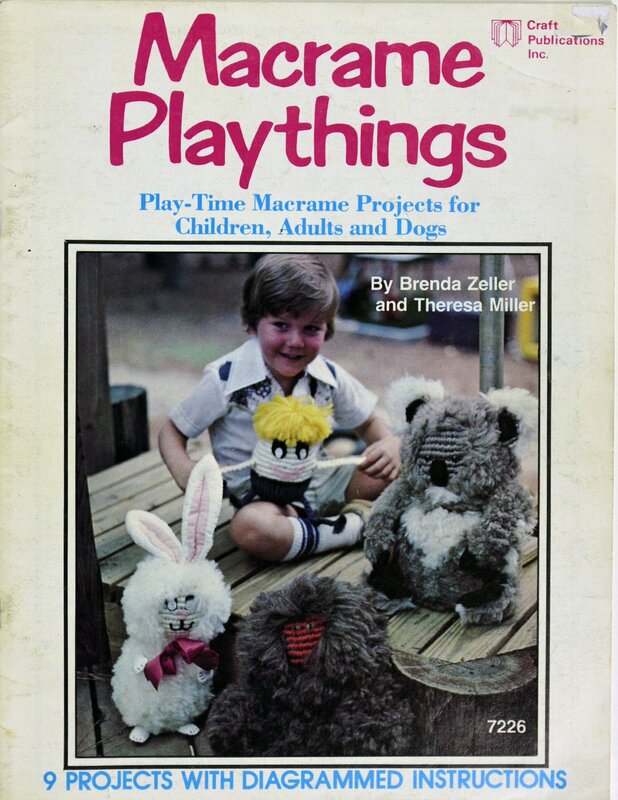 8 macrame' animals for tun and decoration. 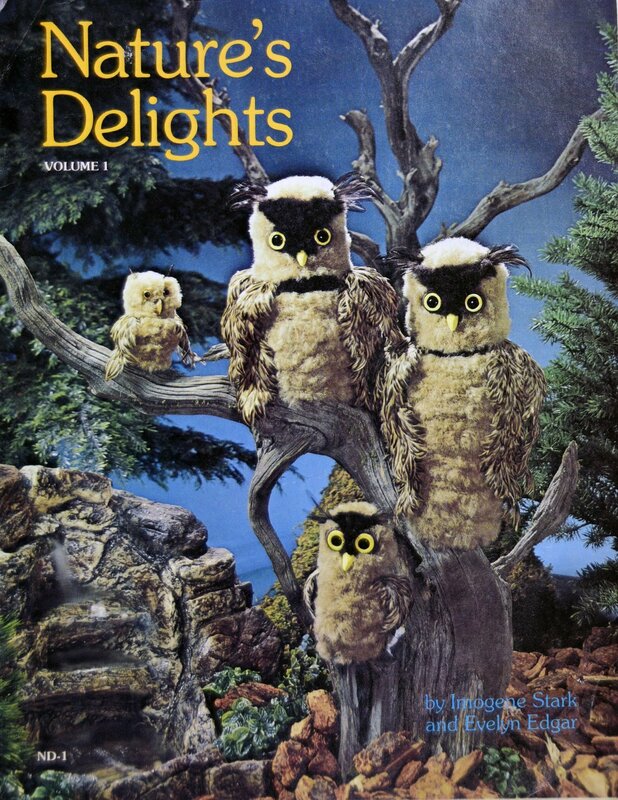 make cute animals with macrame, especially a lot of owls.